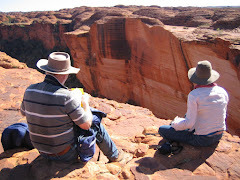 Do you acknowledge a personal responsiblity to seek mutual benefit? 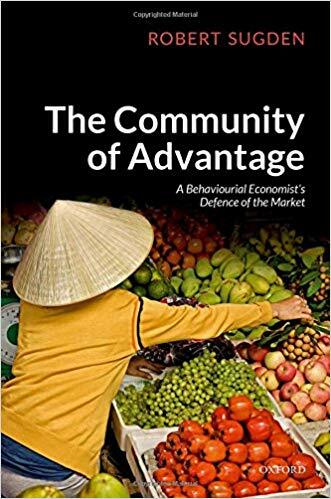 In The Community of Advantage, which I reviewed in my last post, Robert Sugden observes that when individuals participate in market transactions it is possible for them to be motivated by mutual benefit, rather than personal benefit or even by the potential to use proceeds for altruistic purposes. They may see virtue in voluntary transactions that enable people to get what they want by benefiting others. Sugden points out that being motivated by mutual benefit is consistent with Adam Smith’s famous observation that we do not rely on the benevolence of shopkeepers to provide us with the goods we need. The shop keepers don’t sacrifice their own interests to provide us with goods, but they may act with the intention of playing their part in mutually beneficial practices. “According to that principle, each person should behave in such a way that other people’s opportunities to realize mutual benefit are sustained. But beyond that, no one is accountable to anyone else for his preferences, intentions, or decisions. Individuals relate to one another, not as one another’s benefactors, guardians, or moral judges, but as potential partners in the achievement of their common interests". Individuals decide how to use the opportunities that are available to them, and accept sole responsibility for the consequences. Sugden’s discussion of ethics includes responses to the virtue-ethical critique of the market of philosophers, such as Elizabeth Anderson and Michael Sandel, who argue for collective action by citizens to impose limits on the scope of markets - on the grounds that motivations of market participants are inherently non-virtuous and therefore liable to corrupt social interactions. However, some virtue ethicists have adopted a much more market-friendly approach. I have in mind, particularly, the template of responsibility proposed by Douglas Den Uyl and Douglas Rasmussen in The Perfectionist Turn. Den Uyl and Rasmussen suggest that “the fact that one must make a life for oneself is an existential condition”. To be a person is to have self-responsibility. Each person is primarily responsible for her or his own flourishing. Human flourishing involves “an actualization of potentialities that are specific to the kind of living thing a human being is and that are unique to each human being as an individual”. Actualization “is dependent on the self-directed exercise of our rational capacities”. Flourishing amounts to the same thing as “the exercise of one’s own practical wisdom”. 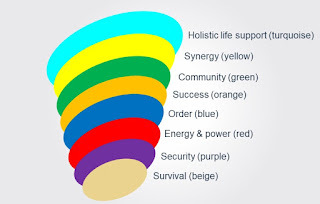 As noted in an earlier article on this blog, an entrepreneurial analogy is used by Den Uyl and Rasmussen to describe what a flourishing life involves. Flourishing is activity rather than a passive state. It involves discovery of opportunities, and alertness to new opportunities amidst changing circumstances, rather than merely efficient use of the means at our disposal. The authors suggest that if we accept that human flourishing is the goal of ethics, then we should learn from exemplars. People who have flourished in difficult circumstances may provide us with useful models of action. Of course, the idea that it can be helpful to personal development to identify and emulate the values that drive heroes has been around for a long time. It seems to work best for people who are sufficiently self-authoring to be able to recognise that famous people are not always good exemplars of human flourishing. Den Uyl and Rasmussen argue that the ultimate value of the template of responsibility is integrity, which “signifies a coherent, integral whole of virtues and values, allowing for consistency between word and deed and for reliability in action”. They suggest that integrity expresses itself interpersonally in honour. 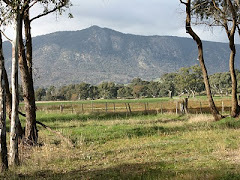 Although acknowledging that honour may be “too old-fashioned a term for today’s usage”, they maintain that it does “capture the sense of what it means to greet the world with integrity”. An alternative term, that captures some of that meaning, is trustworthiness. Den Uyl and Rasmussen briefly discuss the question of why they consider opportunistic participation in untrustworthy behaviour to be inconsistent with individual flourishing. They argue that such opportunism puts “the relationship we have with ourselves as a whole in disequilibrium by eroding what we ought to be in our relations with others generally”. I have a vague idea of what that means. We can’t flourish if our behaviour is inconsistent with our values. Peoples’ consciences are often troubled when they engage in untrustworthy behaviour. When confronted with an opportunity to benefit unfairly at the expense of another person we sometimes hear people say, “I couldn’t live with myself if I behaved in that way”. I am not sure whether those sentiments are best explained in terms of evolved moral intuitions, internalisation of norms of reciprocity during the maturation process, a combination of both, or something else. Perhaps it doesn’t matter much how such sentiments are explained; the important point is to recognize that humans generally view untrustworthy behaviour to be inconsistent with their values. Results of the trust game suggests that in a world we live in there seems to be a widespread expectation that even people we don’t know may be somewhat trustworthy. The trust game is a once-off game played between anonymous strangers (A and B). A is given $10. She can choose to keep it all or send some to B. B receives 3 times the amount sent by A. B can choose to keep all the money she has received, or send some back to A. In the results of games reported by Robert Sugden, A players sent on average $5.16 and received back $4.66, with B players keeping $10.82. Sugden suggests that the willingness of A players to send any money to B players can explained in terms of their expectation that B players can be trusted to play their part in producing mutual benefits. "In an economy in which there is a general tendency for people to act on the Principle of Mutual Benefit, it is in each person’s interest that other people expect him to act on that principle”. “In choosing whether or not to enter a trust relationship, each individual is free to judge for herself whether or not that will be to her benefit, taking account of the possibility that other participants may be untrustworthy. To the extent that some person, say Joe, can be expected to act on the Principle of Mutual Benefit, he can be seen by others, and sought out by them, as a potential partner in mutually beneficial interactions that those others are free to enter or not enter, as they choose. Thus, Joe’s being seen in this way allows him to access opportunities for benefit that would be closed off if his potential partners expected him always to act on self-interest." That reasoning might suggest to some readers that it is more important to establish a reputation for trustworthiness than to have an intention to be trustworthy. A lot of commercial advertising seems to make that presumption. Fortunately, there is some evidence that individuals’ dispositions toward trustworthiness are translucent. When people have face-to face interactions with others they are quite successful in predicting who will cooperate and who will defect. On that basis, Sugden suggests that having a disposition to act on the principle of mutual benefit makes it more likely that other people will expect you to act in this way. Summing up, accepting responsibility for making something of one’s own life is an integral part of what it means to be a human, and seeking mutual benefit in interactions with others follows naturally from that. Integrity in our behaviour toward others is of central importance to flourishing because we cannot flourish if we don’t live according to our values, and because we cannot flourish unless other people trust us sufficiently to seek mutually beneficial interactions with us. Isn't it good to be able to get what you want by helping others to get what they want? When I was at university studying neoclassical welfare economics - about half a century ago - the standard discussion of the benefits and limitations of free markets began with a demonstration that, under certain assumptions, individuals with stable and internally consistent preferences could maximize their utility through voluntary transactions. 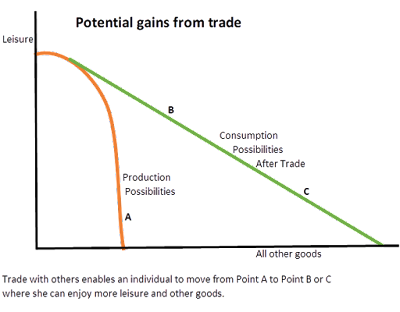 As I write, I have a picture in my mind of neat sets of indifference curves in an Edgeworth Box, rather than the gains from trade diagram shown above. Of course, in the 1960s and 70s a great deal of attention was given to market failure stemming from violation of competitive market assumptions and the existence of externalities. Since then, research by behavioural economists has provided evidence that individuals’ preferences tend to be context-dependent, rather than stable and internally consistent. For example, as we all know, what we choose to buy may be influenced by the placement of items on supermarket shelves. Just as evidence of market failure led many economists to advocate remedial government interventions, evidence that individuals’ preferences tend to be context-dependent has been used by some behavioural economists to argue for paternalistic interventions to nudge people to make better choices. Wise economists urge that consideration should also be given to government failure - the tendency for government intervention to make matters worse even when politicians intend to produce better outcomes. Robert Sugden has shone light through the smog caused by the standard neoclassical assumptions about individual preferences in his recently published book, The Community of Advantage. Sugden dispenses with assumptions about individual preferences by substituting the principle of individual opportunity – the idea that individuals will choose to have more opportunities rather than less. Sugden’s book has been praised by some eminent scholars working at the interface between economics, psychology and ethics. It is pleasing that Cass Sunstein, whose advocacy of paternalistic nudges is challenged in the book, describes it as “one of the very few most important explorations of liberty in the last half-century. Sugden makes the powerful point that there is no basis for behavioural economists to interpret contraventions of the standard neoclassical assumptions as necessarily attributable to cognitive error or self-control problems. There is no known psychological foundation for human decision-making to be modelled as “a neoclassically rational inner agent, trapped inside and constrained by an outer psychological shell”. Nevertheless, humans obviously make cognitive errors and experience self-control problems. Should economists wash their hands of those problems and leave them for psychologists to deal with? Sugden suggests that economists may be able to help by adopting a contractarian approach – addressing their recommendations to individuals - usually by showing them how they can coordinate their behaviour to achieve mutual benefit - rather than addressing recommendations to paternalistic governments. It is consistent with a contractarian approach for economists to point out the mistakes that individuals are liable to make and to suggest types of choice architecture (e.g. nudges) that they could use, if they wanted, to avoid making those mistakes. One of the highlights of the book is the perception it offers of the workings of “the invisible hand” of the market. The invisible hand is sometimes portrayed as something that has to be mysterious since it is able to convert self-interest into community benefits. Sugden suggests that the invisible hand is far from mysterious when perceived in terms of the activities of profit-seeking traders looking for arbitrage opportunities. If some individuals are willing to sell something at a lower price than other individuals are willing to pay to buy it, traders can take advantage of the profit opportunities of that situation. From the perspective of the buyers and sellers the transaction helps realize an opportunity for mutual benefit, whether traders are involved or not. As I see it, from an individual’s perspective the market provides expanded opportunities along the lines suggested in the gains from trade diagram shown above. A person who subsists without trading with others has little leisure time left after eking out a living. By participating in trade - earning a market income in this example - her consumption possibilities are expanded. She is able to get more of what she wants – more leisure and/or more other goods - by helping others to get what they want. Opportunities for mutual benefit are not limited to market exchange. Mutual benefit is possible in many different types of cooperative interaction. Sugden provides an insightful analysis of team reasoning, contrasting a contractarian approach in which individual team members seek to achieve mutual benefit with the alternative of perceiving the team as a single entity and seeking to maximize the overall good of the team, as judged from some neutral viewpoint. The author’s analysis of adherence to voluntary practices is also insightful. He notes that individuals realize mutual benefits directly by conforming to voluntary practices, e.g. tipping conventions, because regularities of behaviour provide salient benchmarks for expectations about one another in specific interactions. By conforming to the practice, they also sustain the expectations upon which it depends and help to maintain it as an institution. “When participating with others in a voluntary interaction, and for as long as others’ behaviour in that interaction is consistent with this very principle, behave in such a way that the other participants are able to satisfy normal expectations about the consequences of the interaction for them." The author explains that one of the merits of the principle of mutual benefit is that what it requires of us individually is independent of the motivations of the people with whom we interact. It is in our interests to seek mutual benefit in interactions with as many other people as possible. The principle never requires us to make judgements about another person’s intentions. The Community of Advantage is the best book I have read about the economics of human flourishing. This brief review has provided only a glimpse of what it is about. Hopefully, it has whetted your appetite to read the book. Is the principle of mutual benefit consistent with the primacy of personal responsibility as discussed by Douglas Den Uyl and Douglas Rasmussen in The Perfectionist Turn? When is it possible for economists who are engaged in provision of public policy advice to adopt a contractarian approach? Does the principle of mutual benefit mesh well with the views of Elinor Ostrom on management of common property resources, the views of Vincent Ostrom on politics, and the views of Max Borders about the prospects of a Social Singularity? Can the hope circuit help us to circumvent dysfunctional politics? This question came to mind when I was reading the final chapter of Martin Seligman’s latest book, The Hope Circuit. The book is an autobiography, but in discussing his own life the author provides readers who have little knowledge of psychology, people like me, with a painless way of informing themselves about some major developments in this field over the last century. Marty Seligman played an important role - as a researcher, author of popular books, and transformational leader - in helping to bring about important changes in his profession. He made major contributions in encouraging the profession to study cognition, recognise evolution, embrace positive psychology, and give greater attention to prospection. I will focus here on learned helplessness, learned optimism and the hope circuit. Marty, as he is accustomed to being called by just about everyone, made his name as a researcher in the 1960s for his work, with Steve Maier, on learned helplessness. Marty and Steve observed that when dogs were unable to avoid electric shocks by changing their behaviour, they subsequently tended to remain passive when they did have the opportunity to avoid shocks. The dogs appeared to have learned that nothing they did mattered. Marty saw the potential implications of this research for understanding of mental illness among humans and developed the helplessness theory of depression on that basis. 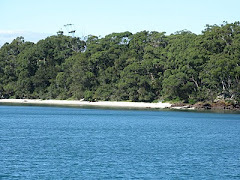 That theory was subsequently reformulated, with assistance from John Teasdale, to take account of the way people think about the causes of their feelings of helplessness. For example, those who see their current problems as likely to last forever and to undermine everything they do are likely to feel helpless long into the future. Pessimism leads to helplessness. 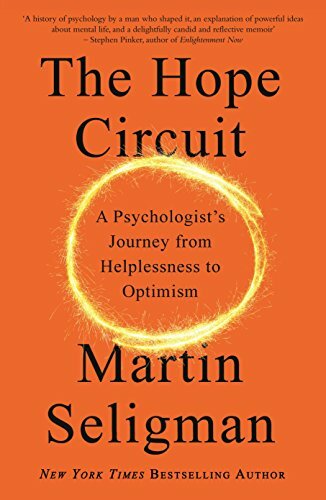 Marty’s popular book, Learned Optimism, published in 1990, integrated research findings on learned helplessness and explanatory style. It advocated disputing pessimistic thoughts as the central skill of learned optimism. “He showed that the arrow of causality that we had postulated was wrong and that it was not helplessness but control and mastery that were learned". One of the implications of this research is that therapy that “creates end runs” around trauma and helps people to plan a better future is likely to be more helpful than therapy that tries to undo trauma by confronting the past. "Human history has, until recently, been a tale of woe: warfare, plague, famine, injustice, poverty, ignorance, and violent death. The last half century has witnessed, if not the eradication, a great reduction of these ills. When the world is a vale of tears, it is natural that politics, religion, science, medicine, and the arts should concern themselves with defense and damage. But what happens when the world is no longer a vale of tears?" My initial reaction to that passage was the same as my reaction to Steven Pinker’s book, Enlightenment Now. I agree that massive progress has been made in human flourishing, but I see huge problems ahead for liberal democracy. We are confronted by widespread failure to adhere to the norms of self-reliance and reciprocity that underpin liberal democracy. I became even more pessimistic when my thoughts turned to Jason Brennan’s book, Against Democracy. In my response to that book I mourned the declining power of the major political parties to shape political agendas in ways that moderate the ill-informed desires of electors. I raised the question of whether many voters would be likely to accept impartial advice on how to vote to achieve their objectives. It is not obvious that there is anything that anyone can do now to save liberal democracy from political hooliganism. So, why aren’t I feeling depressed and helpless? The main reason is that a few months ago Max Borders’ book, The Social Singularity, gave me grounds to hope that technological advances will eventually enable citizens to circumvent dysfunctional politics. Rather than moaning endlessly about the decline of liberal democracy, we can look forward in the hope of a better future. There may even be practical things that we can do in cooperation with others to facilitate growth in opportunities for human flourishing. 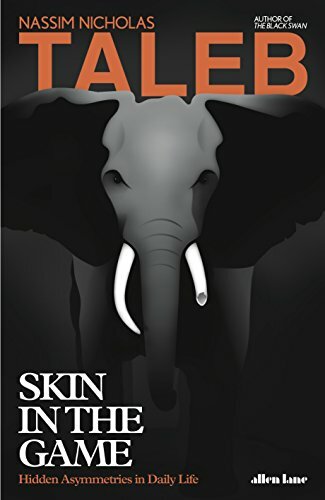 How does skin in the game help solve the Black Swan problem? As I was reading Skin in the Game, Nassim Taleb’s latest book, the thought crossed my mind that the author might classify me as an IYI (intellectual yet idiot). He puts economists in the IYI category along with psychologists. “Knowing ‘economics’ doesn’t mean knowing anything about economics in the sense of the real activity, rather than the theories … produced by economists”. I agree. Some economists know little about the real world. Despite his low opinion of economists, the author acknowledges that some of the economists I admire, including Friedrich Hayek, Ronald Coase and Elinor Ostrom, had useful insights about the real world. He even suggests that Paul Samuelson made a useful contribution by pointing out that people reveal their preferences in their market behaviour rather than in what they say. Rather than viewing Nassim Taleb’s offensive anti-intellectualism as evidence that he suffers from SFB, I think economists and psychologists should view it as a clever ploy to attract the attention of their students. I hope Taleb succeeds, and also hope that his book helps students to pose difficult questions for some of their professors. There is some irony in the fact that Taleb has a low opinion of intellectuals, since Daniel Kahneman views Nassim Taleb as “one of the world’s top intellectuals”. Kahneman, a psychologist, won the Nobel prize for economics, largely for his research on asymmetry in the way people value potential gains and losses in making decisions. Taleb is critical of that research. “Skin in the game helps to solve the Black Swan problem and other matters of uncertainty at the level of both the individual and the collective: what has survived has revealed its robustness to Black Swan events and removing skin in the game disrupts such selection mechanisms. Without skin in the game, we fail to get the Intelligence of Time". It is worth trying to take that apart to understand the reasoning behind it. Skin in the game is about more than just sharing in the benefits of an activity. It involves symmetry and reciprocity – paying a penalty if something goes wrong as well as sharing in the rewards for risk taking. Most people who provide us with goods and services still pursue occupations where they have skin in the game. The problem is that many of the people who don’t have skin in the game - for example, politicians, bureaucrats, bankers and university professors - occupy positions where their mistakes can have far-reaching consequences. The Black Swan problem arises when we ignore extreme events – potential disasters - that occur infrequently. Taleb’s main point is that there are some risks that we can’t afford to take even though there is a low probability that they will occur at any point in time. His book, The Black Swan, was published in 2007 and made him famous following the 2008 financial crisis. Taleb contends that banks and trading firms are vulnerable to hazardous Black Swan events. The bank blow-ups occurred in 2008 as a result of hidden and asymmetric risks in the financial system. At the level of the individual, skin in the game helps to solve the Black Swan problem because it helps people to focus on their need to survive in order to succeed. Taleb argues for profiting from risk-taking that doesn’t threaten survival. He points out that Warren Buffet made his billions by picking opportunities that passed a high threshold, rather than by applying cost benefit analysis. At the collective level, skin in the game helps to solve the Black Swan problem because it requires decentralization of decision-making. Under a decentralized system the costs of the mistakes made by individuals are borne by those individuals, without necessarily affecting other participants. Centralized systems are exposed to the Black Swan problem because they can only be run by people who are not directly exposed to the cost of errors. What has survived has revealed its robustness to Black Swan events. That applies to ideas, institutions, technologies, political systems, procedures, intellectual productions, car models, scientific theories etc. The only effective judge of things is time, because time is equivalent to disorder. The longer things survive, the more likely it is that they will have survived Black Swan events. Removal of skin in the game disrupts selection mechanisms. When people have skin in the game they are less likely to reject ideas that have withstood the test of time in favour of new ideas that that have been published in peer-reviewed journals. A lot of findings published in peer reviewed journals fail subsequent replication tests. The only definition of rationality that I’ve found that is practically, empirically, and mathematically rigorous is the following: what is rational is that which allows for survival." I think Nassim Taleb is correct in his view that skin in the game helps to solve the Black Swan problem. Unfortunately, however, when it is comes to consideration of potential Black Swan events that threaten the survival of humanity, the political systems we have inherited do not ensure that political leaders have enough skin in the game for their minds to focus appropriately. Political leaders focus on their survival at the next election rather than on the survival of humanity. It is up to citizens who are concerned about potential Black Swan disasters to initiate appropriate action themselves. Why don't all sides of politics agree to pursue Wealth Plus? It would be great if the major political parties in all countries of the world were to pursue Wealth Plus as a national objective. However, I don’t think that is likely to happen soon, even in the wealthy countries that have implicitly pursued similar objectives in the past. ‘The total amount of value produced over a certain time period. This includes the traditional measures of economic value found in GDP statistics, but also includes measures of leisure time, household production, and environmental amenities, as summed up in a relevant measure of wealth." Tyler also suggests that we should aim to “maximize the rate of sustainable economic growth, defined in terms of a concept such as Wealth Plus”. He suggests that we should think more broadly about economic growth as an ongoing self-sustaining process that produces goods that contribute to human welfare, rather than in terms of growth in GDP as conventionally measured. I think the objective that Tyler is writing about could better be described in terms of pursuing growth in opportunities for human flourishing – growing opportunities for people to live the lives that they aspire to have. I prefer that terminology partly because it fits neatly with the view I expressed in Free to Flourish that good societies are characterised by widespread opportunities for human flourishing. In my view, progress is movement toward better societies, with growing opportunities for human flourishing. An emphasis on human flourishing raises a question, touched on in an appendix, of why human flourishing should be prioritized above the flourishing of non-human lives. One good reason is that flourishing humans show greater consideration for non-human lives than do humans who are struggling to survive. Discussion about what constitutes ethical behaviour toward non-human lives is a feature of modern life in prosperous countries. More fundamentally, if ethical behaviour is intrinsic to human flourishing – as Aristotle argued persuasively long before modern psychologists took up the idea - then human flourishing must encompass ethical behaviour toward all other living creatures. 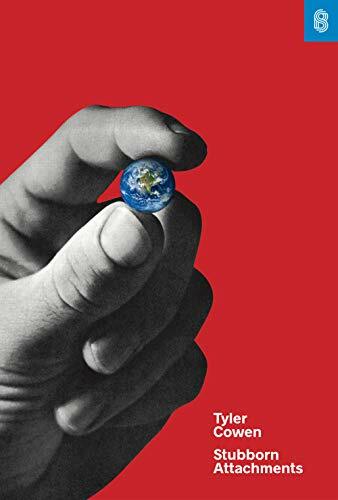 Tyler makes a strong case that we should care about the well-being of people in the distant future just about as much as we care about the well-being of the current generation. His argument is based partly around the implications of discounting the value of future human lives. Under any positive discount rate, one life today could appear to be worth as much as the entire subsequent survival of humanity if we use a long enough time horizon for the calculation. The argument for using a low discount rate seems to me to have considerable force when we are considering the benefits of public investments to protect future generations from potential catastrophes. As previously discussed on this blog, that argument is pertinent in considering what discount rates should be used for public investments to avert or mitigate climate change risks. I am not persuaded by Tyler’s argument that the well-being of future generations isn’t adequately considered today in the choices “we” are making about “how rapidly to boost future wealth”. The “we” Tyler is referring to is the collective “we” that makes public policy choices. As I have previously suggested, the argument that positive externalities cause free markets to produce too little economic growth does not appear to have any more merit than the argument that negative externalities cause free markets to produce too much economic growth. Tyler hasn’t persuaded me that government intervention can improve on the growth outcomes of the savings and investment decisions made by individuals and families in a free market. In any case, the choices that governments make about “how rapidly to boost future growth” seem to be largely implicit rather than explicit. Boosting economic growth may be a motive for public investment in research and some forms of education, but I can’t think of many other examples. Perhaps what Tyler has in mind are the choices that governments make that unintentionally reduce the rate of economic growth. For example, he notes that when government spending is cut, investment spending is often the first area to go while entitlements for the elderly remain intact. Tyler is on firm ground in arguing that the strengthening of good institutions today can be expected to provide benefits for centuries into the future. There is strong historical support for the view that growth promoting institutions and a history of prosperity tend to have enduring effects. 1. What can we do to boost the rate of economic growth? 2. What can we do to make our civilization more stable? 3. How should we deal with environmental problems? “The first of these is commonly considered a right-wing or libertarian concern, the second a conservative preoccupation, and the third, especially in the United States, is most commonly associated with left-wing perspectives. Yet these questions should be central, rather than peripheral, to every political body. We can see right away how the political spectrum must be reshaped to adequately address these concerns. Politics should be about finding the best means to achieve these ends, rather than disputing the importance of these ends." I agree that is what politics should about, but I am not optimistic that political leaders can pursue those ends diligently, even if they can be persuaded to embrace them. Liberal democracy has been weakened in recent decades by widespread failure to adhere to the norms of self-reliance and reciprocity that underpin it. As predicted by James Buchanan (see this post for explanation) failure of the liberal democracy is becoming increasingly likely as a higher proportion of the population becomes dependent on government, and voters increasingly seek to use the political process to obtain benefits at the expense of others. It is difficult to escape the conclusion that we are heading toward a tragedy of democracy. When interest groups view the coercive power of the state as a common pool resource to be used for the benefits of their members, the adverse impact of tax and regulation on incentives for productive activity produce outcomes that a detrimental to just about everyone. The process seems to be intensifying with the fragmentation of broad interest groups supporting the centre left and centre right of politics. 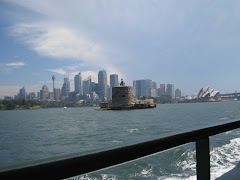 As Henry Ergas has noted recently, with particular reference to Australia, it has become “increasingly difficult for “catch-all” parties — as both our main parties have been — to position themselves in such a way as to aggregate a winning coalition. The concept of the ‘average’ or ‘median’ voter, which used to help orient the parties’ choices, has lost its substance, as has the notion of ‘the centre’. 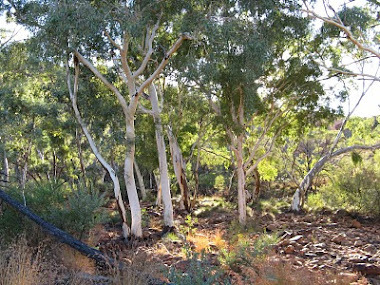 (“The Australian”, 25 Oct. 2018). Similar problems are evident in other mature democracies. The process of fragmentation of broad interest groups has accelerated in many countries over the last decade or so as innovations in the social media have greatly increased the power of the rabid sports fans of politics - aptly referred to by Jason Brennan as Hooligans. Hooligans tend to seek out information that confirms their pre-existing political opinions and ignore or reject information that contradicts those opinions. They tend to communicate in echo chambers that reinforce their outrage when the leadership of the major parties is unresponsive to their concerns. In some countries we are seeing ill-informed Hooligans taking over major parties and the reins of government. In other countries splinter parties comprised of Hooligans are attracting supporters away from major parties and making it more difficult for them to pursue coherent policy agendas. No matter which way it is happening, the growing political influence of the Hooligans makes it increasingly difficult for political leaders to pursue Wealth Plus, or any goals relating to the future well-being of the broader communities who elect them. As more people come to recognize that liberal democracy is confronted by deep problems, perhaps some of them will attempt to make concerted efforts to reform political institutions so that they produce better outcomes. However, it is not obvious what reforms would stop the rot or how reforms could be achieved. A major economic crisis might help to focus the minds of responsible political leaders, but it could just as easily further strengthen the hands of the Hooligans. I now think the best hope for future generations lies in the potential for new technology to enable people to circumvent the obstacles created by the Hooligans of national politics. 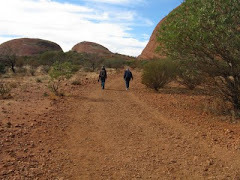 As Max Borders has suggested (see discussion on this blog here and here) technological innovations provide us with the potential to “reweave the latticework of human interaction to create a great reconciliation between private interest and community good". The social singularity has potential to enable people to enjoy growing opportunities to live the lives that they aspire to have. Does the I-You relation enter into every aspect of the moral life? Roger Scruton argues in On Human Nature that the “I-You relation enters essentially into every aspect of the moral life”. That strikes me as an exaggeration. Examples readily come to mind of the exercise of the traditional virtues of prudence (practical wisdom) and temperance (moderation) that do not involve other people. We can make the ethical judgement it is good to exercise practical wisdom by managing our food intake and exercising regularly without considering possible benefits that might have for others. We can make the ethical judgement that it is good to be able to respond with moderation when our computers misbehave, even if there are no other humans nearby to witness unrestrained emotional outbursts. So, why does Scruton take such an extreme position on the importance of the I-You relation? Scruton follows Stephen Darwall, who argues that the moral life depends on the “second-person standpoint” – the standpoint of someone whose reasons and conduct are essentially addressed to others. In attempting to explain that proposition, Scruton argues that it is “only because we enter into free relations with others that we can know ourselves in the first person”. 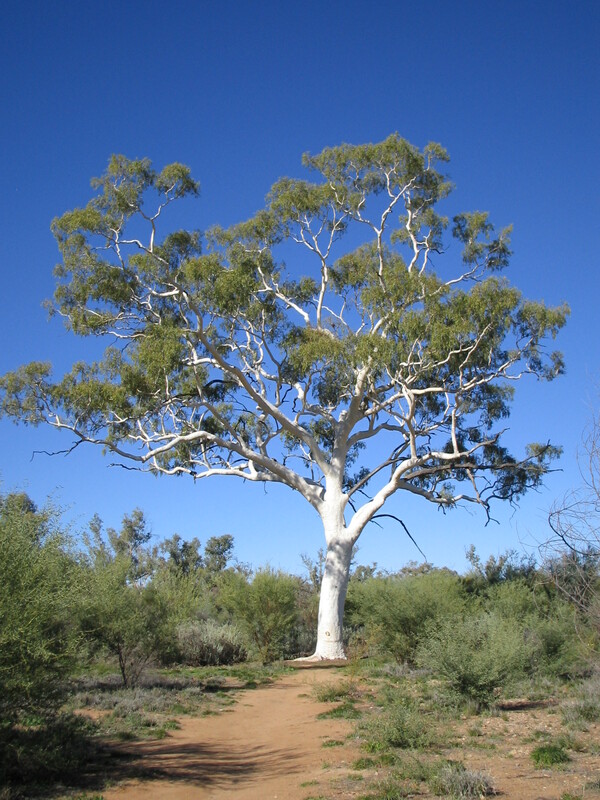 He presents two supporting arguments – one from language and one from recognition. The argument from language, associated with Wittgenstein, is that first-person awareness arises from mastery of a public language and recognition that others are using the word I as I do, to express what they think or feel directly. The argument from recognition, associated with Hegel, is based on the claim that in a state of nature, motivated only by my desires and needs, I am conscious, but without the sense of self. The sense of self arises from encounters with other humans and the struggle for survival. It seems to me that the argument from language fails because it does not explain why first-person awareness would depend on having words to express what that feels like. The argument from recognition fails because it does not explain why it is necessary to identify other humans as having self-awareness before being aware of your own thoughts and feelings. Indeed, it is not clear how any individual human can ever be certain that other humans are self-aware – we assume that others are self-aware as we observe their behaviour because of introspection about the way our own actions are related to our thoughts and feelings. Within a few decades, we could well be assuming that some robots are self-aware because they seem to behave as though they are self-aware. Incidentally, just now when I asked Siri if she is self-aware, her response was: “Not that I am aware of”. I expect she has been programmed to make that response, but it is the kind of response one might expect from a self-aware human trying to appear to be clever. In attempting to provide a functional explanation of self-awareness, it is not clear why Roger Scruton gives so much credence to the speculations of Hegel. He persuaded me earlier in the book that much human behaviour, including laughter, can be better understood in terms of its social meaning rather than evolutionary causes. But evolutionary causes are pertinent to functional explanations. We should not lightly dismiss the possibility that self-awareness provided evolutionary advantages to the individuals who possessed it by helping them to survive terrifying solitary endeavours, as well as to compete with and to cooperate with other humans. Of course, we don’t need to ask how we came to have self-awareness if we acknowledge that the fundamental problem of ethics is taking responsibility for how we live all aspects of our lives. It is sufficient to acknowledge that we have self-awareness, which entails the ability to reflect upon our own behaviour, feelings and thoughts. “For the template of responsibility, the basis for determining worthiness is human flourishing or wellbeing of some sort. Its ultimate value is integrity. 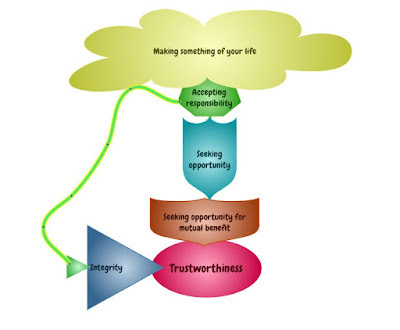 Integrity expresses itself interpersonally in honour but when applied to the agent herself, the term ‘integrity’ signifies a coherent, integral whole of virtues and values, allowing for consistency between word and deed and for reliability in action” (p 20). “Darwell wants to suggest that it is only reasoned and reasonable claims and demands that we can make upon one another. And yet, unless a determination of what is reasonable is left to individuals, there is … nothing beyond the grasp of what might potentially become the subject of publicly dictated forms of claiming and demanding” (p 167). “The bond of allegiance that ties us to the state is again a bond of piety”. In Roger Scruton’s framework, ethical conduct almost seems to be equated with accepting obligations and following rules, rather than accepting responsibility for one’s own actions. To his credit, he condemns the commandants of concentration camps “given to obeying orders and willing to sacrifice their conscience to their own security when the time to disobey had come”. But he doesn’t seem to understand that people who feel a bond of piety to the state are likely to be particularly challenged when it comes to knowing when the time has come to disobey. 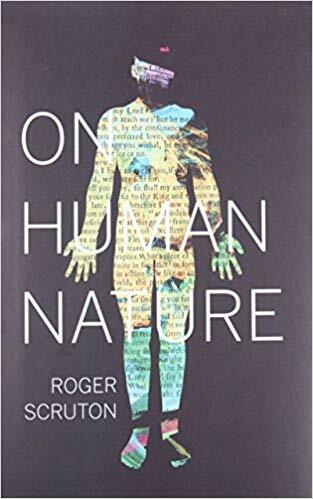 Before concluding, I want to note that I enjoyed reading On Human Nature, despite the impression that might be given by what I have written above. I found Roger Scruton’s discussion of the limitations of the explanations offered by evolutionary biology to be particularly illuminating. Labels: Autonomy and responsibility, Ethics and moral instincts, Identity, individualism, inner freedom, Practical wisdom, Why freedom? Why read a book providing advice to radicals? I doubt whether many people would consider me to be a radical, even though I look forward to the withering away of the state as the social singularity subverts government activities. My views about politics have been most strongly influenced by people who were once considered to be radicals, including John Locke and Adam Smith, but these days people who hold such views are more likely to be described as conservatives. Following Friedrich Hayek, I reject the conservative label because I am strongly opposed to the use of the powers of government to resist spontaneous social change. 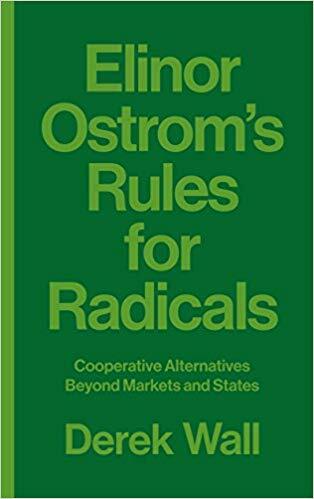 I have been reading Derek Wall’s book: Elinor Ostrom’s Rules for Radicals: Cooperative alternatives beyond markets and states. My main reason for reading the book was my previous advocacy, on this blog, of Elinor Ostrom’s approach to discussion of economic and social issues as a means of promoting dialogue across ideological divides. Elinor Ostrom argued that instead of presuming that individuals sharing common pool resources will inevitably experience the tragedy of the commons, we should leave ideology aside and seek to learn from experience why some efforts to solve commons problems have succeeded while others have failed. 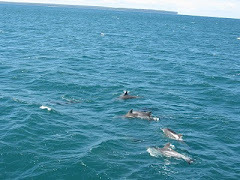 I suggested that if we apply Elinor Ostrom’s research methodology to national politics we should also seek to learn from experience why some countries have been more successful than others in coping with the tendency of interest group activity to have wealth-destroying impacts that are analogous to over-fishing. Derek Wall describes himself as a “left-wing member of a Green Party”. When I started reading the book I didn’t expect to be able to endorse it as suitable reading for anyone other than people who self-identify as having radical views, or have some desire to be able to have a dialogue with radicals. The fact that I endorse it as worthwhile reading for a wider audience illustrates the potential for Elinor Ostrom’s views to have wide appeal across the ideological spectrum. The nonpolemical tone of the book is a credit to the author. The deep impression that Elinor Ostrom’s views have had on Derek Wall will be obvious to everyone who reads the book. 1. Think about institutions. Economic activity is shaped by institutional rules. Formal rules are less important than the “dos and don’t that one learns on the ground that may not exist in any written document”. 2. Pose social change as problem solving. Those who look at politics and economics in an abstract way often fail to deal effectively with particular issues. 3. Embrace diversity. Polycentricism promotes good decision-making. The idea of a god-like leader or committee with perfect information is a myth. 4. Be specific. Move from slogans to analysis. Keep asking what can we specifically do in a specific context. 5. Listen to the people. People who participate in commons may be more likely to have good ideas about solving problems than outside experts. 6. Self-government is possible. The Ostrom approach of promoting self-government at a local level provides an attractive alternative to both top-down bureaucratic management and exercise of power by populist politicians. 7. Everything changes. Evolution happens. Technological change is creating new opportunities for collective economic activity e.g. Wikipedia. 8. Map power. If you can map flows of power, you are in a better position to change the flows. 9. Collective ownership can work. It is not always utopian and unrealistic. 10. Human beings are part of nature too. 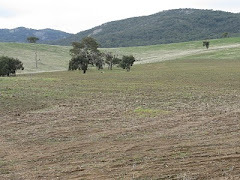 Ecological problems are profoundly political. The politics of humanity has an influence on the rest of nature. 11. All institutions are constructed, so can be constructed differently. Communities need to keep adapting and reinventing institutions. Institutional development should occur constantly and engage all citizens. 12. No panaceas. Imperfect humans cannot design utopia. If we attempt to construct institutional blueprints failure is likely. 13. Complexity does not mean chaos. Polycentricism and overlapping jurisdictions can be more efficient than hierarchical structures with linear chains of command. It seems to me that most of those rules are as relevant to conservatives as to radicals. In all modern democracies conservatives and radicals seem to share the misconception that all economic and social problems can be solved if they can win and hold on to power at a national level. Can MEMEnomics help us to predict social change? MEMEnomics is the title of a book by Said Dawlabani, a cultural economist. The book, published in 2013, is an application of the psycho-social model of human development pioneered by Clare Graves and Don Beck. MEMEnomics has been praised by several prominent people, including Deepak Chopra and Bruce Lipton, but I have yet to see any praise by prominent economists. The author does not claim that his book is part of the economics mainstream. 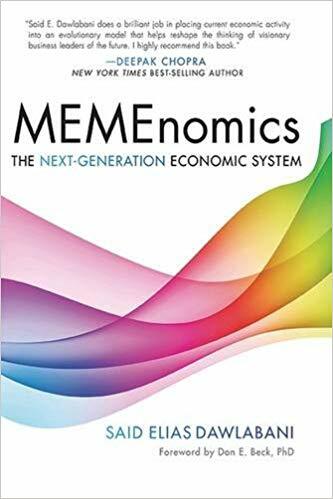 Said Dawlabani suggests that MEMEnomics represents the coming together of two fields: memetics – the study of the replication, spread and evolution of memes - and economics. Just as genes carry the codes that define human characteristics, memes carry the codes that define cultural characteristics. The book is focused on value-system memes - the varying preferences and priorities that humans have in their lives depending on their level of development. The way human values may change with levels of human development was discussed in a recent post on this blog. The author defines MEMEnomics as “the study of the long-term effects of economic policy on culture as seen through the prism of value systems”. Much of the book is devoted to attempting to explore the cultural implications of changes in economic policy in the United States. The author recognizes the desirability of ensuring that his model can explain history before it is used to attempt to predict the future. · and an “only money matters” cycle, peaking around 1980, characterized by monetarism and deregulation of the economy, and leading to the financial crisis of 2008. I am not sure the author succeeds in demonstrating that changes in economic policies have led to cultural change. The cycles identified seem to me to be caricatures of beliefs held by powerful elites rather than accurate descriptions of deep-seated changes in values held by ordinary citizens. Nevertheless, it might be reasonable to argue that the cycles represent changes in ideologies of opinion leaders that have been reflected superficially in voting preferences and priorities of the American public. The author suggests that we are standing on the cusp of a fourth cycle, “the democratization of information cycle”, in which technological advances are allowing social networks to play a pivotal role in affecting social change. That view has merit in my view, but I think this technology-driven change is better viewed as an exogenous factor rather than a new ideology emerging from the down-side of “only money matters”. At this stage it seems that, in the aftermath of the 2008 financial crisis, social networks have aided the return of economic nationalism rather than a policy environment placing higher priority on human development and living in harmony with nature. As discussed in previous posts (here and here) there does seem to be scope for technological advances to have profound impacts on human values and the way we organise ourselves relative to each other over the next few decades. However, since some of those innovations threaten the scope of government, it seems unlikely that government policy will play a top-down role encouraging them to happen. Policy change seems more likely to occur in response to the demands of ordinary citizens for governments to get out of the way, so citizens can make effective use of new technology. I enjoyed reading the final chapter of the book discussing the concept of a sustainable corporation. Inspirational examples are provided of corporation leaders setting out to define how the core values of their organisations can enable them to simultaneously pursue profits and a higher purpose. Unfortunately, some of the shining examples of 2013 do not all shine so brightly today. Said Dawlabani has written an interesting article recently on the reasons why that has happened. Entrepreneurs who are selling new sets of values to investors, staff and customers will always encounter naysayers. In the face of this negativism some of these pioneers will succeed, many will not. 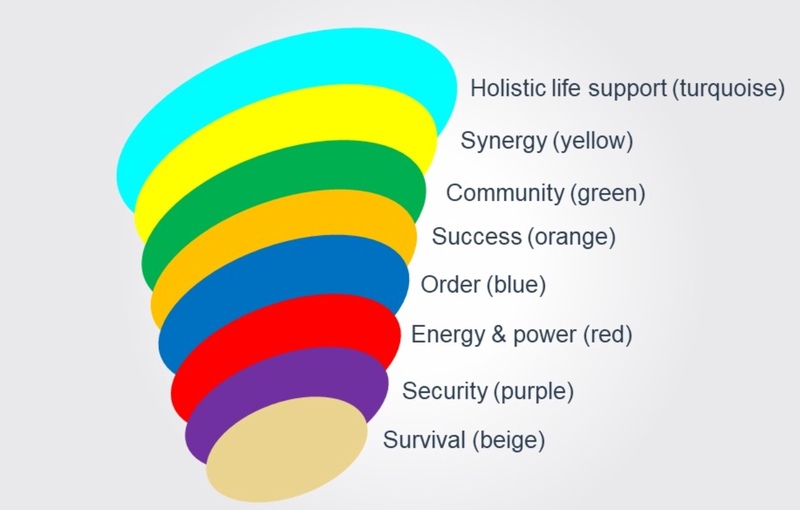 One of the messages I get from MEMEnomics is that individual entrepreneurs are likely to play a crucial leadership role in facilitating transition from a subsistence value system limited to expressions of selfish interests, to a value system that understands the interconnectedness of all life on the planet. It strikes me that for economics to shed light on the role of the entrepreneur in this process it needs to recognize that the value created by entrepreneurs is likely to have a large non-pecuniary component in future. In pursuit of personal values some innovative entrepreneurs are offering investors the opportunity to feel that their funds are being used for the betterment of humanity and/or the environment, as well as generating financial returns. Similarly, they are offering employees the opportunity to feel they are engaged in a meaningful venture rather than just an income earning activity, and are also offering consumers opportunities to feel good about their purchases. The economic model that seems most relevant in this context is 'identity economics' - as discussed in a book of that name by George Akerlof and Rachel Kranton. The key idea is that people gain satisfaction when their actions conform to the norms and ideals of their identity. In a tribal society, identity economics is like identity politics – people adopt the norms and ideals of the tribe to which they belong. In a cosmopolitan society the relevant norms and ideals are those of the market economy, incorporating a large measure of respect for the rights of others and social trust. Over the next few decades, hopefully the relevant norms and ideals will incorporate greater concern for the well-being of all humans and other living creatures.